Farm Fresh Podcast: What do GMOs actually do? What do Genetically Modified Organisms (GMOs) actually do? A GMO is an organism that has been changed in some way with genetic engineering techniques. From traits to resist pests to reduced browning in apples and potatos, find out more about what GMOs actually do from agronomist Karen Corrigan in this week’s Farm Fresh Podcast. Listen every Wednesday at 12:45 p.m. for the Farm to Table segment on WJBC Radio. 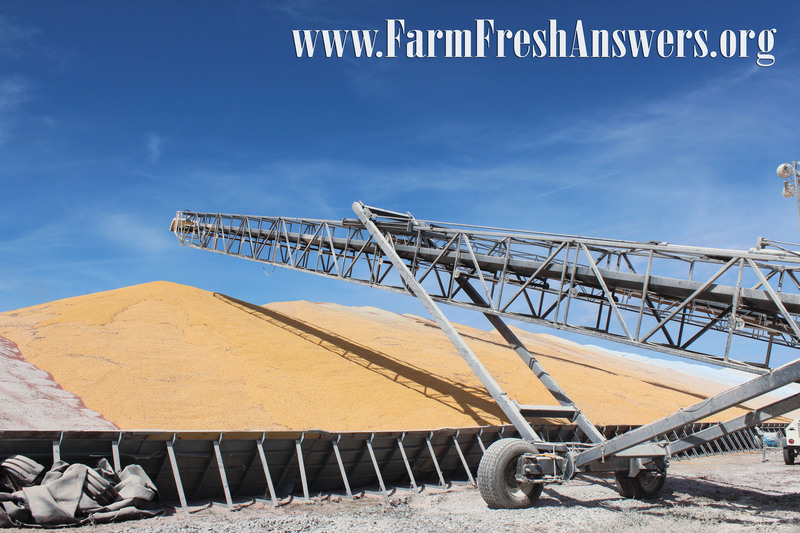 Where does McLean County Corn Go? Piled high: In recent years, McLean County farmers typically grow somewhere in the neighborhood of 60 million bushels of field corn. In 2015, McLean County farmers grew more than 63 million bushels of field corn, an amount which would stretch more than 1,000 miles if all of it were loaded in semis parked bumper to bumper. So where does all of that corn go? 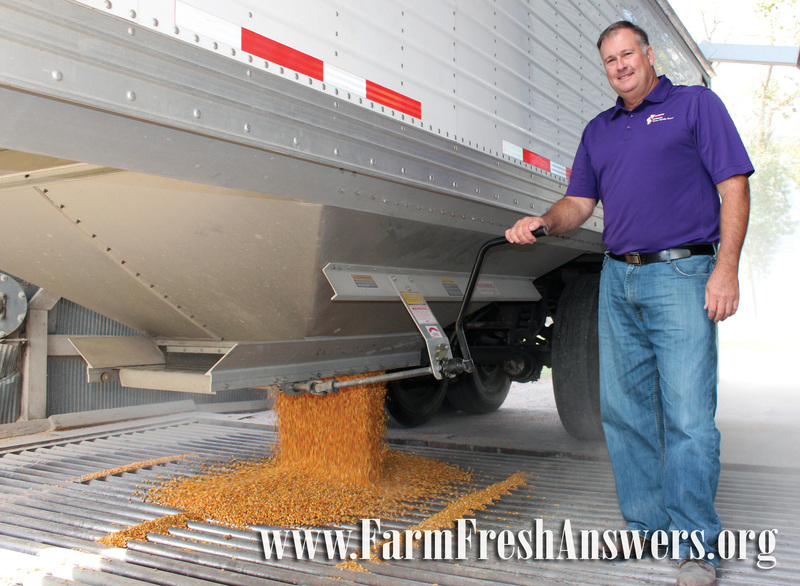 “It’s all about supply, demand and logistics,” says Steve Dennis, Grain Manager at Evergreen FS. 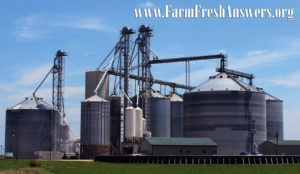 McLean County’s location with proximity to two large corn processing facilities in Decatur, access to several major rail lines and reasonable distance to barge transportation on the Illinois River provide multiple means to move grain to end users. 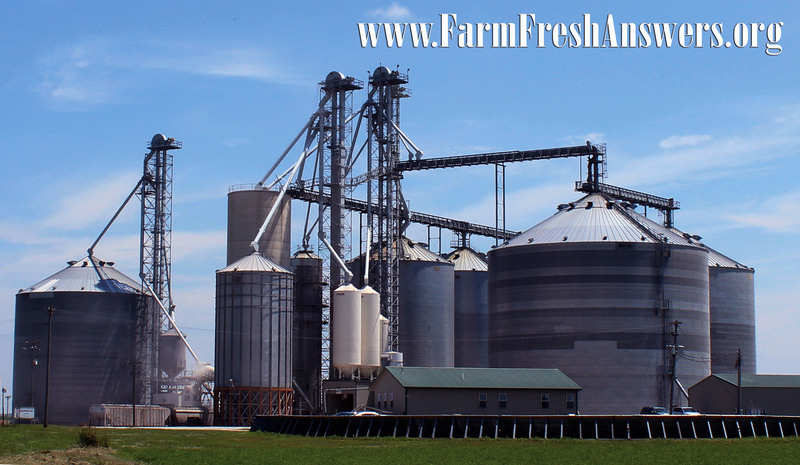 After the farm, the next step is usually a commercial storage and distribution facility called an elevator. Grain elevators aggregate and ship corn, soybeans and other grains. Corn delivered to a river terminal is likely headed down the Mississippi River and exported to international destinations while rail facilities are more likely to ship corn to livestock farms in the southwestern U.S. or to a processing facility. “Corn has a diversified market because you can feed it raw to livestock or process it into a variety of products,” says Rod Weinzierl, Executive Director of the Illinois Corn Growers Association. 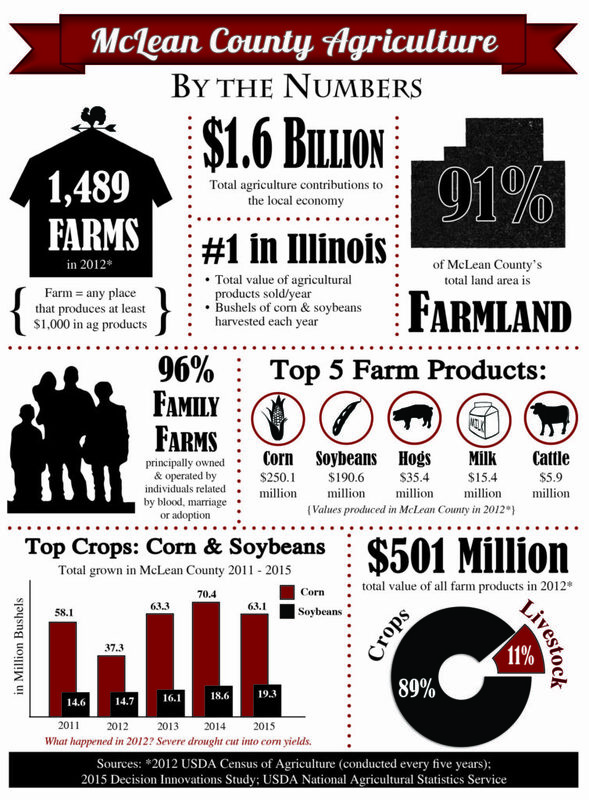 McLean County agriculture is predominately grain farming with a relatively small amount of livestock, which means most corn travels outside the county in kernel form. 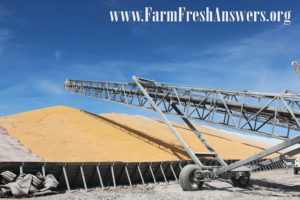 Ethanol plants can turn one bushel of corn (56 pounds) into 2.8 gallons of fuel plus 17 pounds dried distillers grain (DDGs), a high protein livestock feed leftover from the fuel-making process. “Not a lot of McLean County grain goes overseas as whole kernel corn, but quite a bit of the DDGs are exported,” Weinzierl says, going to feed cattle, hogs and chickens as far away as Thailand and Vietnam. On the food ingredient side, McLean County corn can be used to produce sweeteners, corn oil, corn starch and more. Why do McLean County farmers grow so much corn? Because there is demand for it. “From a world supply standpoint we have a little bit of carry over every year, but it’s not that much. The world uses pretty much all of the corn farmers grow,” Dennis says. Click here for the full article in McLean County’s Partners magazine insert. As the growing season winds down at Triple M Farm, farmer Greg Anderson shares what’s ahead for the winter months. Find out about the Thanksgiving bag to add some locally grown vegetables to your Thanksgiving feast and more in this week’s Farm Fresh Podcast. Listen for the Farm to Table segment on WJBC Radio every Wednesday at 12:45 p.m.
With harvest recently completed for the Maitland Family Farm, Justin Maitland shares how the corn and soybean yields turned out plus takes a look ahead to fall field work. Tune in every Wednesday at 12:45 for the Farm to Table segment on WJBC Radio.